Ehren Kassam and Richard Walters appeared at the Student Life Expo on Saturday. The duo chatted with the crowd, gave away prizes and signed autographs as part of Faze Magazine’s guest lineup for the two-day event. 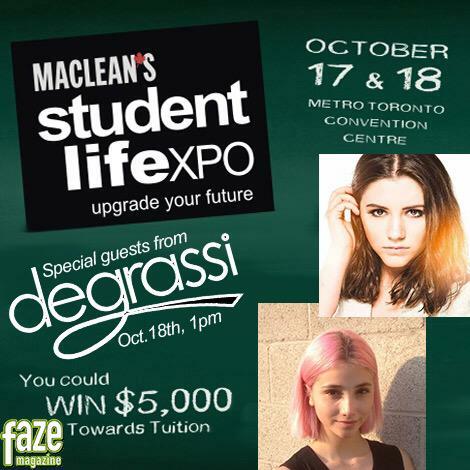 Amanda Arcuri and Ana Golja will appear at the Student Life Expo on Sunday at 1pm.